DEPLORABLE TRUMP SUPPORTERS ARE NOT THE ONLY ONES WHO ARE "CLIMATE DENIERS". Tony Abbott's business adviser says global warming a fallacy supported by United Nations to 'create a new authoritarian world order under its control' . "Climate change is a hoax developed as part of a secret plot by the United Nations to undermine democracies and takeover the world, a top adviser to Tony Abbott, Australia’s prime minister, has warned. Maurice Newman, the chief business adviser to the prime minister, said the science showing links between human activity and the warming climate was wrong but was being used as a “hook” by the UN to expand its global control. “This is not about facts or logic. It’s about a new world order under the control of the UN,” he wrote in The Australian. –– ADVERTISEMENT –– “It is opposed to capitalism and freedom and has made environmental catastrophism a household topic to achieve its objective.” Born in Ilford, England, and educated in Australia, Mr Newman, a staunch conservative and former chairman of the Australian Stock Exchange, has long been an outspoken critic of climate change science. He was appointed chairman of the government’s business advisory council by Mr Abbott, who himself is something of a climate change sceptic and once famously described climate change as “absolute cr**” – a comment he later recanted. In his comment piece – described by critics as “whacko” – Mr Newman said the world has been “subjected to extravagance from climate catastrophists for close to 50 years”. GLOBAL WARMING BRINGS FREEZING TEMPERATURES TO FLORIDA IN 2018. "Many Central Floridians bundled up with their scarves, coats and gloves Nov. 28, 2019, as they stepped outside their homes to 30 and 40-degree weather." Related Headlines You won't be the only one trying to stay warm tonight How To Prepare For Winter Weather 7 Tips to Keep Pets Safe in Winter "This morning was our coldest start in over 8 months. Tonight, we’ll have more 30s and 40s, and with lighter winds, we’ll have a better chance of patchy frost. The chilly air won’t last too long, though. We’ll be back in the 70s and 80s this weekend," Severe Weather Center 9 meteorologist Brian Shields said. 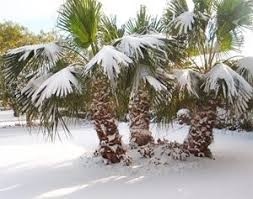 CLICK HERE FOR MORE DETAILS: http://boomerspeaks.com/55682.html. .
Click here for full article .https://www.wftv.com/weather/chilly-week-ahead-as-major-cold-front-moves-into-central-florida/878705255 . 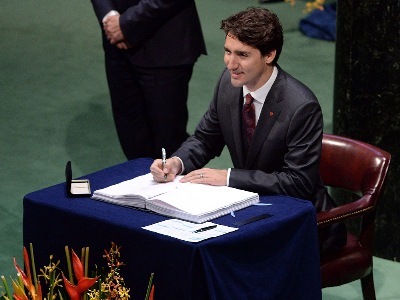 GLOBAL WARMING ALARMISTS THREATEN CANADA MORE THAN CLIMATE CHANGE. "Dire prophesies about climate change have failed to materialize. Eleven years ago the World Wildlife Fund warned we had five years to save the world from catastrophic climate change. Seven years ago, the International Energy Agency predicted there were five years left. Failed predictions should make alarmists more modest about their knowledge of climate science, which is a massively complex subject. Yet being wrong only increases their fervour, which has led to policies that seriously damage the Canadian economy, but do virtually nothing to solve the supposed problem." Link to full article: https://torontosun.com/opinion/columnists/oliver-climate-change-alarmists-seriously-harm-the-economy . GLOBAL WARMING MYTH-MAKER HOSTS 24 WARMATHON JANUARY 2018. AL GORE IS BACK. "Al Gore will host a 24-hour broadcast special on climate change next month featuring an array of celebrities and musical performances by artists that include Moby and the Goo Goo Dolls. The (disgraced) former vice president announced the eighth annual “24 Hours of Reality: Protect Our Planet, Protect Ourselves,” which will be televised in more than 125 countries and streamed live online at 24HoursofReality.org, according to a news release. Of course, I own many "clean air credits" which I am willing to sell. Click here for more information: http://boomerspeaks.com/55682.html . 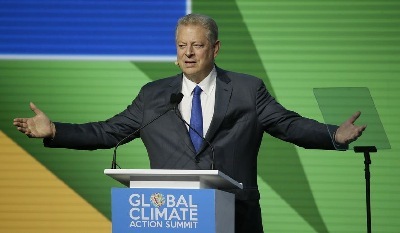 Complete Details here: https://www.washingtontimes.com/news/2018/nov/27/al-gore-host-24-hour-climate-change-special-featur/ . 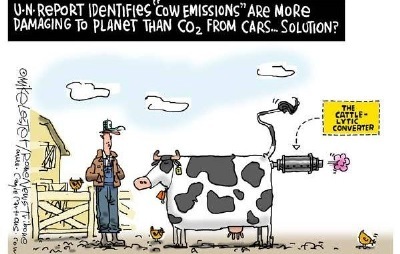 Across the globe, "cows burp and fart more than they need to, according to a Swiss firm that says it has developed a feed that cuts methane emissions from livestock" UN Scientists have known for a long time that cow farts create more climate change than all the world's cars. When all the world's cows fart and burp no more, global warming is over. THE POLITICALLY INCORRECT GUIDE TO CLIMATE CHANGE EXPLAINS WHAT MANY STILL DO NOT KNOW.The leftists, progressives and liberal democrat politicians who use fear to claim we are in imminent danger from global warming really want us to have less freedom. More regulation. Higher costs. Make no mistake: those are the surefire consequences of the modern global warming campaign of fear waged by political and cultural elites, who have long ago abandoned fact-based science for dramatic fearmongering in order to push increased central planning. The Politically Incorrect Guide to Climate Change gives a voice -- backed by statistics, real-life stories, and incontrovertible evidence -- to the millions of "deplorable" Americans skeptical about the multibillion dollar "climate change" complex, whose claims have time and time again been proven wrong. GLOBAL WARMING FAITHFUL KNOW 2018 HAWAII ERUPTION CAUSED BY CLIMATE CHANGE. "The rapid rise in sea levels could cause a dramatic increase in volcanic eruptions, according to a study, published in the journal Geology. The highly scientific study found that during periods of rapid climate change over the last million years, the rapid melting of continental glaciers and the resulting sea-level rise eventually increased volcanic eruptions. Climate change is over. The climate (may) change in the future, (but human influence on a global disaster of Climate change) is negligible. Climate change "is no longer a pre-eminent policy issue. All that remains is boilerplate rhetoric from the political class, frivolous nuisance lawsuits, and bureaucratic mandates on behalf of special-interest renewable-energy rent seekers. Politicians want you to believe in global warming. Global warming means Less freedom. More regulation. Higher costs. Make no mistake: those are the surefire consequences of the modern global warming campaign waged by political and cultural elites, who have long ago abandoned fact-based science for dramatic fearmongering in order to push increased central planning. The Politically Incorrect Guide to Climate Change gives a voice -- backed by statistics, real-life stories, and incontrovertible evidence -- to the millions of "deplorable" Americans skeptical about the multibillion dollar "climate change" complex, whose claims have time and time again been proven wrong.